“Of the enemies of the cross of Christ, the apostle declares that they “mind earthly things.” They are only concerned about increasing their stores, and thus be able to say with the rich man of whom the Savior speaks, that they have much goods laid up for many years; on the strength of which they intend to take their ease, and eat, drink, and be merry. All their thoughts are of the earth, earthy. The things of time and sense – they regard as first and last, middle and end. “Just so, an individual may pursue the world, and retain a Christian profession at the same time – and it is often difficult to ascertain whether God or the world possesses his affections. But by and bye he comes to a parting road, when God calls him one way, and the world another way – and then he will show to whom he really belongs. If God is his master – then he will follow and obey God. But if the world is his master – then he will follow after it! “O my soul, how are you affected by the respective claims of the things of time – and those of eternity? After a few more rising and setting suns, it will be a matter of total indifference to you – whether you have been rich or poor, successful in your business or unsuccessful. But it will be of unspeakable consequence – whether you have fled for refuge to lay hold upon the hope set before you in the gospel. “A poor peasant’s son, then a diligent student, a humble monk, and, finally, a modest, industrious scholar, Martin Luther had already exceeded the half of the life-time allotted to him, when – certainly with the decision characteristic of him, but with all the reserve imposed by his position in life and the immediate purpose of his action – he determined to subject the religious conceptions which lay at the basis of the indulgence-usages of the time to an examination in academic debate.”(2) This singularly comprehensive and equally singularly accurate statement of Paul Kalkoff’s is worth quoting because it places us at once at the right point of view for forming an estimate of the Ninety-five Theses which Luther, in prosecution of the purpose thus intimated, posted on the door of the Castle-Church at Wittenberg on the fateful October 31, 1517. 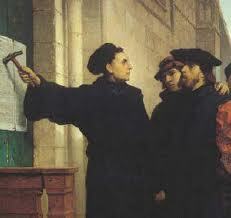 It sets clearly before us the Luther who posted the Theses. It was – as he describes himself, indeed, in their heading(3) – Martin Luther, Master of Arts and of Theology, Ordinary Professor of Theology in the University of Wittenberg. And it indicates to us with equal clearness the nature of the document which he posted. It consists of heads for a discussion designed to elucidate the truth with respect to the subject with which it deals – as again Luther himself tells us in its heading. We have to do here in a word with an academic document, prepared by an academic teacher, primarily for an academic purpose. All that the Theses were to become grows out of this fundamental fact. We have to reckon, of course, with the manner of man this Professor of Theology was; with the conception he held of the function of the University in the social organism; with the zeal for the truth which consumed him. But in doing so we must not permit to fall out of sight that it is with a hard-working Professor of Theology, in the prosecution of his proper academical work, that we have to do in these Theses. And above everything we must not forget the precise matter which the Theses bring into discussion; this was, as Kalkoff accurately describes it, the religious conceptions which lay at the basis of the indulgence traffic. Failure to bear these things fully in mind has resulted in much confusion. It is probably responsible for the absurd statement of A. Plummer to the effect that “Luther began with a mere protest against the sale of indulgences by disreputable persons.”(4) One would have thought a mere glance at the document would have rendered such an assertion impossible; although it is scarcely more absurd than Philip Schaff’s remark that the Theses do not protest “against indulgences, but only against their abuse”(5) – which Plummer elaborates into: “Luther did not denounce the whole system of indulgences. He never disputed that the Church has power to remit the penalties which it has imposed in the form of penances to be performed in this world.”(6) To treat the whole system of indulgences, as proclaimed at the time, as an abuse of the ancient custom of relaxing, on due cause, imposed penances, is to attack the whole system with a vengeance. 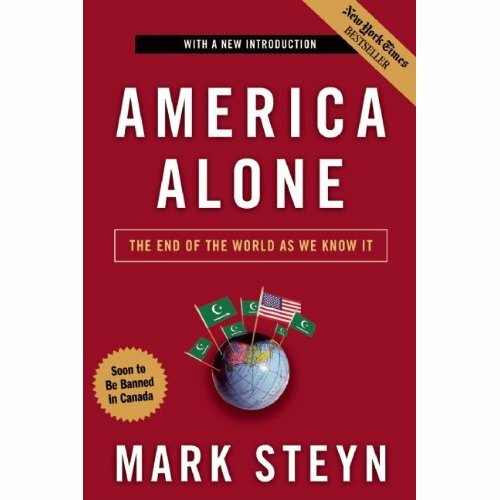 Throughout the course of his book, Mark Steyn addresses this Islamic threat and challenges readers to take it seriously. In fact, he manages to cover quite a bit of ground in just a few hundred pages. The key factors which he deals with, however, are 1. demographic decline, 2. the unsustainability of the advanced Western social-democratic state, and 3. civilizational exhaustion. 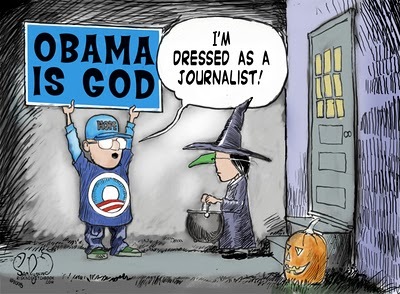 And he does it all with confidence, wit, and a liberal dose of humor. As Christians, we must also remember that God is wholly sovereign. Nothing is outside of His control. As the Heidelberg Catechism puts it, “… all creatures are so in His hand that without His will they cannot so much as move.” We are to live and look at the world in light of this fact. However, this does not mean that we are to turn a blind eye to the danger that is seething around us. We are to be watchful and aware. And reading this book will help you be more fully conscious of the threat that Islam poses. 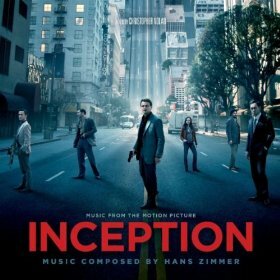 Inception is Hans Zimmer’s first solo score for director Christopher Nolan after collaborating with James Newton Howard on Batman Begins and The Dark Knight. He doesn’t disappoint. Far from disappointing, Inception could very well be one of the best scores that the prolific German composer has ever written – which is saying a lot, when you think about it. What makes this even more amazing is the fact that he crafted the entire thing without seeing one single frame of the film. He simply read the script. The score opens with Half-Remembered Dream, a bombastic number that has a somewhat sinister air to it – as if Zimmer is warning the listener that danger lurks just around the corner. The most memorable cue, Dream Is Collapsing, builds magnificently from a tense, reserved rhythm to an explosive arrangement with chugging strings and bellowing brass. Old Souls and Waiting For A Train both have a particularly ethereal feel, reminiscent of the jazz-kissed work Henry Mancini contributed to Bladerunner; while Mombasa – thanks to a pulsating accompaniment and Johnny Marr’s electric guitar – simmers with the frenetic energy of a chase scene. Time brings the score to a majestic close, soaring in a crescendo of strings, horns, and drums, and then falling suddenly to a quiet, dignified piano theme.